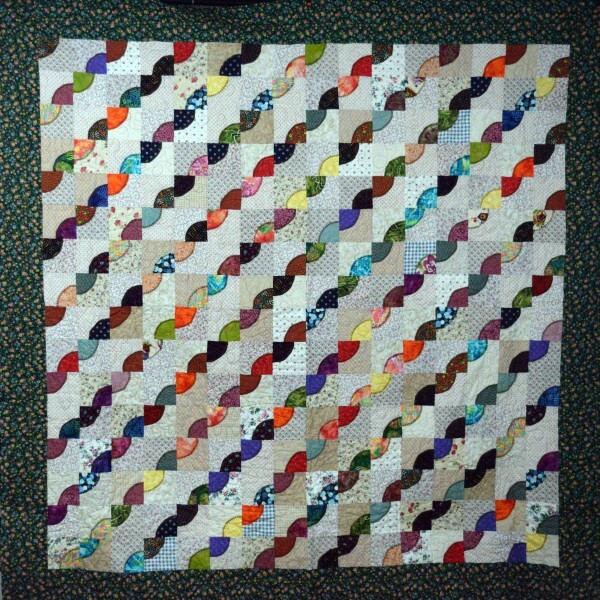 This quilt is made using the Drunkard’s Path pattern. 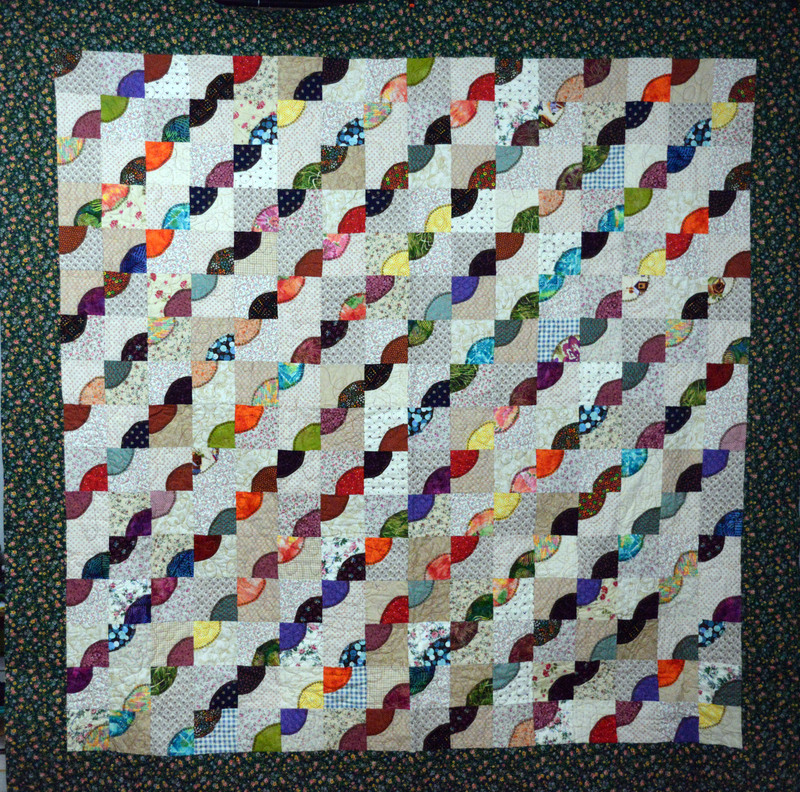 There are many different layouts for this pattern. Each of the quarter circles are appliqued on to the square using a vibrant color of thread and a different decorative stitch. This quilt is a Full size quilt. It measured in at 84″ X 82″. 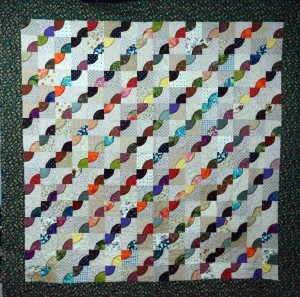 Keep checking the website for two other similar quilt that are larger than this quilt..